Despite the public relations disaster confronting Facebook, the company’s advertising business appears to be doing just fine. Ad spending on Facebook increased in the week following revelations that the company failed to secure the personal data of some 87 million users, according to a study by the marketing analysis firm 4C Insights. The company found that ad spending on Facebook increased 14.5 percent compared to the week before the scandal broke. 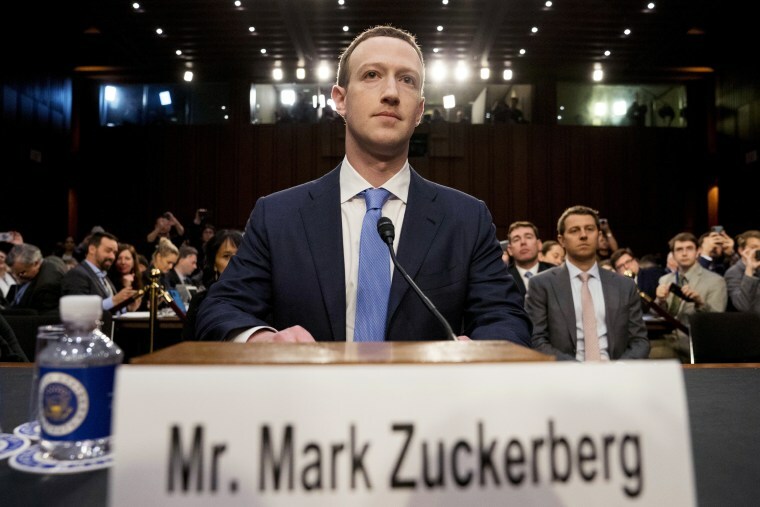 The data from 4C Insights comes a day after Facebook chief executive Mark Zuckerberg spent Monday and Tuesday answering the questions of U.S. senators and representatives on Facebook’s handling of user data. Zuckerberg has said that the company had not seen a serious decline in user activity, and Sheryl Sandberg, Facebook’s chief operating officer, told Bloomberg that just a “few” advertisers had paused their spending. Pathmatics, a company that tracks digital ad spending, also found no evidence that Facebook’s advertising business was suffering. The advertising analysis firm said that the amount of ad money spent on Facebook in the week after the scandal hit was essentially unchanged compared to the same period in 2017. As of April 2017, Facebook served around 5 million advertisers, meaning it would take a serious boycott of clients beyond a handful of companies for the company to feel a hit to its business. Only a few advertisers have publicly declared that they would pause or end their spending on Facebook since the Cambridge Analytica scandal began: Mozilla, Sonos and PepBoys. Aaron Goldman, chief marketing officer at 4C Insights, which counts NBCUniversal as a client, said that Facebook has cemented itself as a core part of the marketing strategies of many companies. The origins of Facebook’s scandal also point to why the company is so popular among advertisers. The social network offers large audiences at cheap prices with the ability to target very select groups of people — known as microtargeting — based on the rich trove of data that Facebook has collected on its users. That practice, however, is starting to cause some soul-searching in the advertising industry, which now realizes that it has helped build Facebook and Google into an all-powerful duopoly. Now, some in the industry are taking a hard look at whether standards and ethics have been tossed out of the window in the rush to know all there is about consumer habits. Just a year ago, the Advertising Research Foundation (ARF), an advertising industry research group, awarded Cambridge Analytica for its work using “big data” to target undecided voters for President Donald Trump’s campaign. Now, Scott McDonald, ARF’s chief executive, said the industry needs to reckon with the problems it helped create. "What is the relationship between the marketer and the customer?” McDonald said. “We've gotten very good at targeting plus an overlay of sophisticated psychology without any conversation about the ethical guidelines. Without that we are headed for trouble." The advertising industry is already facing the prospect of legal changes that will alter how user data can be collected and used. European regulations set to kick in on May 25 give consumers greater command of their own data. U.S. politicians are also pushing for greater transparency in online election ads, which Facebook has promised it will provide. There’s some belief in the advertising industry that those could be just the first of many changes. Louis Jones, executive vice president of media and data practice at the American Association of Ad Agencies, an advertising trade association, said the recent controversies had changed the narrative on digital advertising quicker than expected. "The temperature is significantly warmer in the U.S. way faster than we anticipated," Jones said. Jones said that the advertising industry had not yet seriously considered the consequences of online advertising, but that it would soon be forced to. “This is an opportunity to sit back and say, ‘how fast are we going? How much care are we taking with respect to the handling of data?’” Jones said. “The current temperature will force us to begin to come up with better ideas collaboratively."